Khalil Rafati went to Los Angeles in the 1990s and had it all. He was working with Hollywood movie stars and legendary rock musicians, but it wasn't long before he found his way into the dark underbelly of the City of Angels. When he hit rock bottom-addicted to heroin and cocaine, overtaken by paranoia and psychosis, written off by his friends and family-he grabbed a shovel and kept digging. At thirty-three, Khalil was 109 pounds, a convicted felon, high school dropout, and homeless junkie living on the infamous Skid Row in downtown L.A. So how does someone with nothing, who feels like they deserve nothing, and who just wants to end it all turn their life around? 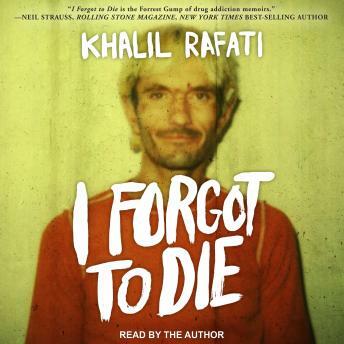 I Forgot to Die is an incredible true story of pain, suffering, addiction, and redemption-and how one man ultimately conquered his demons and wrote himself a new life story.